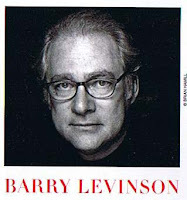 No, not the Baltimore WMAR-TV......but Barry Levinson's. You know, our own Barry Levinson of the famous 50 dollar a week WTOP-TV training program. The one who's remembered to this day as perhaps the best hand puppet artist who ever stuck his hands up a bunch of handsomly challenged straw figures named Oswald the Rabbit, Dr. Fox, and Wally the Worm. He could literally make them SING! Well, he's written another book (actually, he wrote it about 5 years ago....but hey, keeping up with this kid is a full time job). You'll enjoy it, even if you weren't around our old alma mata in the 60's. It's a VERY GOOD book!